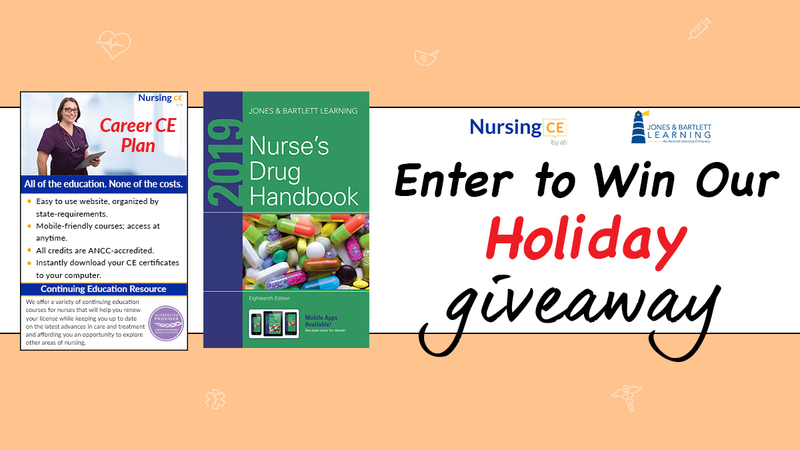 In the spirit of the holidays, NursingCE.com and Jones & Bartlett Learning has decided to team up to surprise a few lucky nurses with a career prize package. 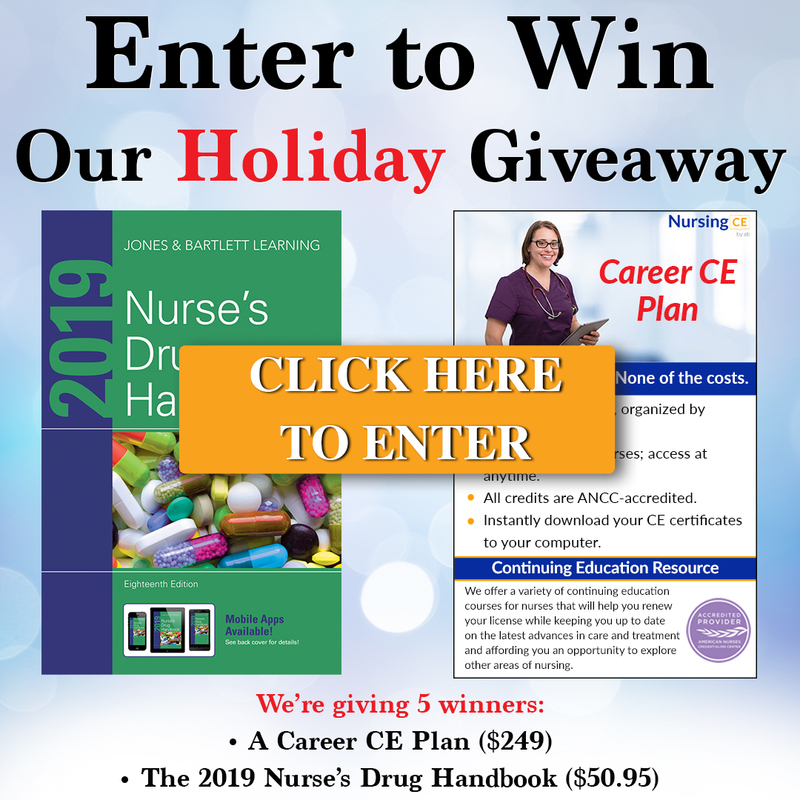 5 of you will win a Career CE Plan valued at $249 and the 2019 Nurse’s Drug Handbook valued at $50.95. All you need to do to enter to win is click the photo below, enter your information and share the news with your friends (you'll get bonus entries when you do). Giveaway ends December 20, 2018 at 11:59pm PST. Five winners will be chosen at random.